Generally speaking, men and women want different things out of their health and fitness routines. The industry has been selling protein powder to men for many years to build muscle, but this is not something that a lot of women are aiming for. That said, the way that we look at diet and nutrition is changing, and more than ever before, the many benefits of a high protein diet are being loudly touted. The ideal body for many women is fit, lean and toned. Protein helps the body build strength and long, lean muscles. In addition, healthy weight loss remains one of the top health and fitness goals for women, and protein can assist weight loss by curbing the appetite, creating a thermogenic effect that speeds up the metabolism, and building muscles that burn more energy in the long run. #5FitMiss Delight – FitMiss is an imprint of supplement giant MusclePharm, who have catered to the ever growing female market with a full range of products designed to support the demanding lifestyle of an active woman. Delight boasts one of the best quality, most comprehensive protein blends, including fast acting whey isolate, egg, and casein for sustained delivery of amino acids, and extra BCAAs to support muscle recovery. This is combined with a superfood blend of biologically active greens and fruits, making delight one of the most unique and nutritionally rich products on the market. Delight contains potato protein Solathin, which is one of the newest weight loss aids on the market, as well as being rich in fibre. FitMiss Delight is a great meal replacement, and a fantastic product for people interested in the more natural side of supplementation. #4BSc Body – Based on a high quality, ultra filtered blend of whey and soy proteins, this protein is fortified with a very comprehensive range of nutrients, including vitamins and minerals, fibre, and flaxseed for omega-3 fatty acids, vital for maintaining optimal health. BSc Body is one of the best formulas on the market for people trying to drop weight, and boasts a number of very reputable fat loss agents that work in different ways. These include fat metaboliser carnitine, hydroxycitric acid, which is one of the best known carb blockers, thermogenic green tea and BSc has stayed abreast of the latest with the inclusion of the recently discovered, much lauded Garcinina cambogia. BSc Body can help any woman obtain and maintain the figure she has always wanted. 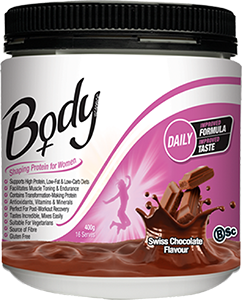 #3Body Ripped BodyTone SlimFit – There's a lot more going for BodyTone SlimFit than its delicious taste, but it is hard not to get excited about a shake which contains real cookie crumbs! BodyTone have aimed this product toward women wanting a no nonsense shake that will help them drop weight, and SlimFit boasts one of the highest levels of quality dairy protein on the market. Virtually carb and fat free, Slim Fit contains a powerful array of fat fighting ingredients including thermogenics, fat metabolisers and carb blockers, while ingredients like caffeine and guarana not only help curb the appetite, but provide a natural energy boost. 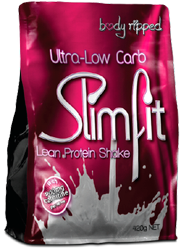 SlimFit is one of those products that is a joy to use. 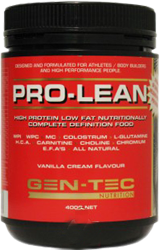 #2GenTec ProLean – A protein powder with some serious science behind it, GenTec have created a product that supports weight loss, both directly, through the addition of a number of ingredients that supercharge the metabolism of fat within the body, and indirectly, through nutritional support. ProLean boasts a super high quality protein blend, featuring ultra pure whey isolate and concentrate for fast absorption, and micellar casein which keeps you fuller for longer. GenTec have distinguished ProLean with the addition of colostrum, which has been proven to have immune and digestive benefits in humans, and a solid dose of essential fatty acids which are important for the maintenance of overall health, including skin, hair and nails. ProLean makes sure you look and feel great, inside and out. Packed with top quality ingredients, ProLean still comes in as one of the best value products on the market. 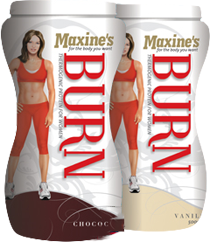 #1Maxine's Burn – Maxine's is the sister company to Max's, an Aussie company which is one of the top names in supplements. With a clever formulation put together from the best quality ingredients, it comes as no surprise that Burn is one of the most popular women's proteins out there. Burn is based on high quality, fast absorbing whey isolate combined with whey concentrate, contaning active peptides, and slow digesting casein, which quells the appetite and keeps muscles supplied with amino acids, helping after-gym recovery and the building of long, lean muscles. Add to this a full complement of vitamins and minerals, and a range of well dosed and scientifically researched carb blockers, fat metabolisers, and energy boosters, and things are sounding pretty good even before you hear Maxine's Burn weighs in at over 85% protein and is virtually free of carbs and fat. Maxine's is known for its excellent flavours, and Burn comes in delicious Vanilla, Chocolate, Strawberry and Choc Latte. On a related note, the biggest downside of this protein is that it in our experience, it is the women's protein powder most likely to be stolen by male family members and significant others. Victims of theft – we are sorry – but it may cheer you up to know that Maxine's burn is probably the best value protein for women on the market. The full complement of nutrients makes Burn ideal as a meal replacement, and the fast absorbing whey makes it perfect after the gym or first thing in the morning. Burn will help you get the body you desire. Of course, these are not the only products for women on the market, and it is worth mentioning that there is nothing stopping a woman from using a protein that doesn't come in a pink container. Some great products which work for men and women include Elemental Nutrition Shredding Matrix and Bsc Hydroxyburn, which are both extremely effective at promoting weight loss, and low fat, low carb blended proteins like Optimum Nutrition 100% Whey Gold Standard or Redbak Complete Protein.